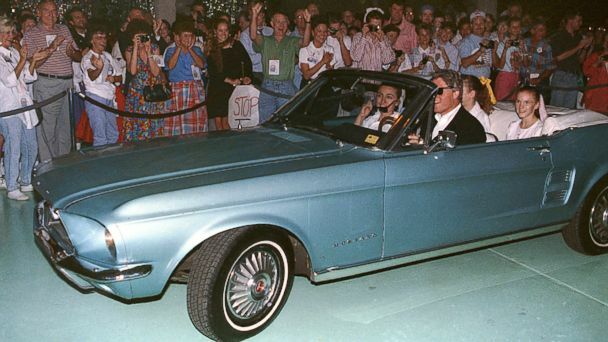 The last time Hillary Clinton got behind the wheel, her husband was still president and "Macarena" was on the top of the charts. "Last time I actually drove a car myself was 1996," Clinton said during a speech today at the National Automobile Dealers Association meeting in New Orleans. Recalling the experience, Clinton said: "I remember it very well, and unfortunately, so does the Secret Service, which is why I haven't driven since then." Clinton, who as a former first lady has lifetime Secret Service protection, acknowledged that not being able to drive was "one of the regrets I have about public life." "My husband thinks that's a blessing," she joked, "but he's the one who should talk." It didn't take long for Republicans to jump on Clinton's comments. The GOP opposition research group, America Rising, posted a video of Clinton's speech under the headline, "Out Of Touch?" "Hillary Clinton showed just how Washington she's gone over the past two decades, jokingly telling the audience about the fact that she hasn't driven a car in over 17 years," reads a blog post on the group's website. "Maybe she put in a tape of The Macarena (which was on top of the charts) during her last time behind the wheel?"